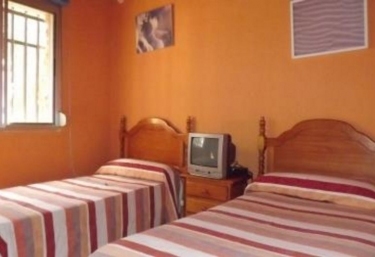 Our accommodation is located within the province of Albacete , specifically in the area of ​​ El Bonillo. It is a finca ideal to travel both as a group , as it can be rented from 2 to 6 people, thus opening the possibilities of tourism to anyone who wants to enjoy the tranquility of the natural environment that surrounds us. It is a suitable place for camps, counting both private and common spaces. There are 2 homes for 2 people; another for 4 and one last for 6. A fully equipped dining room in which the center of the room is occupied by a wooden table with its set of chairs. In the rest areas, a sofa that is oriented towards the area where the television is , next to the gran wood fireplace that provides the necessary heat during the day to day. A complete kitchen in which to unleash culinary skills. It does not lack anything, since the household appliances are present as well as the household . La crockery and cutlery average comfort. A bathroom completo where between its toilets the bathtub . 2 bedrooms of which one of them is marriage and the second has 2 single beds. The bedding is present as well as the furniture. There are extra beds to complete the maximum capacity. A landscaped space , with trees, where the barbecues . A large pool to have a great time all together while you take a dip. We also have heated pool at 1 km. away. A restaurant for those days when you do not feel like cooking. 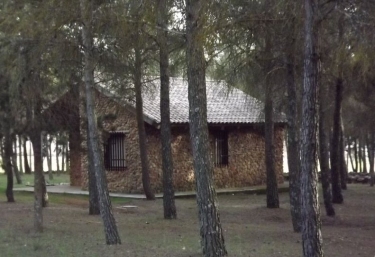 Our cabins can be rented from 2 people up to a maximum of 6. 2 bedrooms. One of Marriage and another, with 2 single beds. There are extra beds. A bathroom with his bathtub . Rustic dining room , equipped with fireplace . Kitchen with everything you need for day to day. Our accommodations are perfect to travel with your partner , as they have spaces for a maximum of 2 people. A double bedroom in which you will not miss anything to feel at home. A dining room fully equipped, in which rest and eat will be a pleasure. A kitchen replete with kitchenware and appliances. Full bathroom in which towels are included. Our most familiar accommodation opens its doors so you can enjoy your vacations. 2 double bedrooms, one of marriage and another with 2 single beds. A complete bathroom that includes bathtub . A dining room where each room has its own equipment. A complete kitchen to enjoy while doing your favorite recipes. 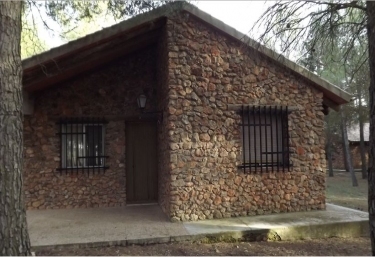 Our accommodation is located within El Bonillo , which belongs to the province of Albacete . ¡30 % if you book a minimum of 7 nights!